At Westlake Hills Dentistry we are excited to offer the latest in tooth restoration technology. The Sonic Fill system allows Dr. Ho to fill and restore your teeth in much less time than before. The innovative Sonic Fill system uses sonic waves and a patented composite material to create a strong and natural looking filling in your back teeth. The composite filling material matches your natural tooth’s color and once placed looks and feels completely natural. How the Sonic Fill System Works? After Dr. Ho prepares the tooth to receive the filling a special handheld device is used to fill the area to be restored. As the composite resin fills the area it is very viscous meaning it is semi-fluid. Once Dr. Ho has the appropriate amount of filling material placed into the tooth he is then able to sculpt the composite to seamless bond to your natural tooth. Sonic waves are then applied to the filling material hardening it and curing it. This permanently bonds the composite material to the tooth. This creates a strong, long lasting, and natural looking filling in much less time than traditional composite fillings or amalgam fillings. What Makes Sonic Fill So Unique? 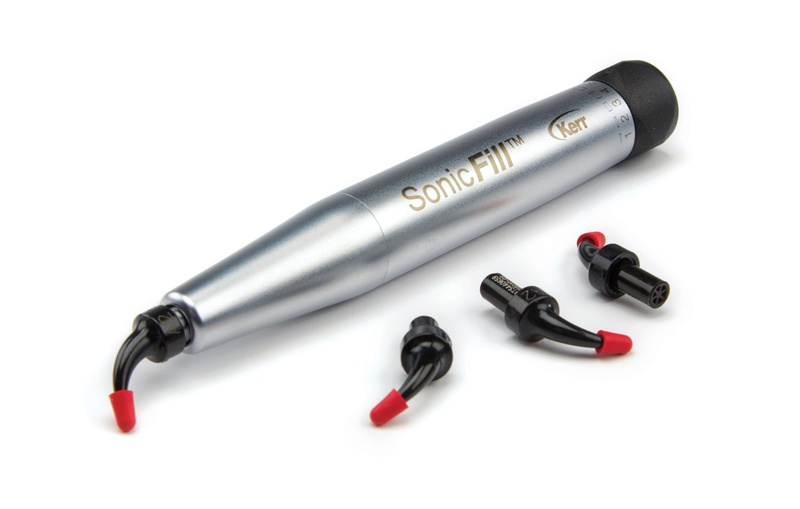 The Sonic Fill system uses state of the art sonic technology. With the use of sound waves the chemical composition of the filling material is changed from a semi-liquid state to a strong and durable filling material. Since the filling material is placed into the tooth with the handheld applicator there are no gaps or air pockets which may cause infection or inflammation. The process is much faster than layering composite material as in traditional composite fillings. The patented Sonic Fill material is stronger than other types of fillings and will last for many years.